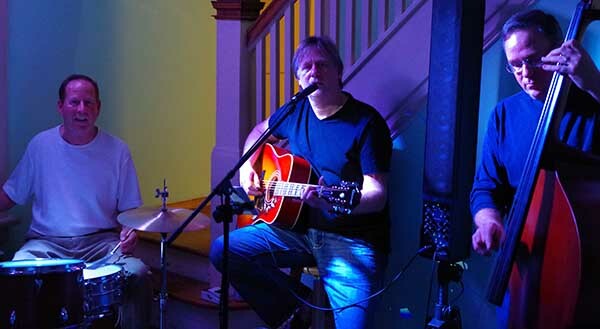 The Jewett Brothers Band – Three brothers, performing music together for over 40 years. Three brothers, performing music together for over 40 years. 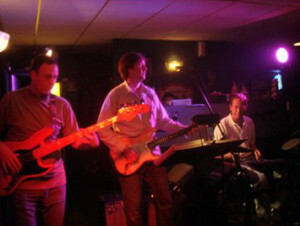 Brothers Tom Jewett (drums), Steve Jewett (guitar and vocals) and Mark Jewett bass) started playing music together as teens and never stopped. Vibrant, organic, alive, and breathing with energy and passion,the Jewett Brothers Band play many favorite hits from the 60’s through today. A deeper drink of some of our culture’s greatest songs, and an expansion of original vibes colored with almost every genre of western and eastern music they can find, these guys put their whole heart and being into the tune. Your favorite songs come alive with new flavors and freshness, and listeners are easily attracted to the dance floor. Prone to taking chances, the three brothers are not afraid to follow the flow and create wide-open jams from highly structured arrangements. It’s all about feel, and providing space to allow music to expand. Each musician is totally dedicated to maintaining the greatest respect for composers, arrangers, and performers of our time. Every performance is a tribute to the best music content ever heard by incorporating bits and pieces of famous riffs, styles and flavors. The Jewett Brothers hope you enjoy their music and can join them soon. Enjoy hearing songs from The Grateful Dead, Beatles, ELP, Santanna, The Police, Eric Clapton, Led Zeppelin, CCR, Johnny Cash, Van Morrison, Neil Young, The Allman Brothers, Bob Marley, Steve Miller, Hank Williams, The Rolling Stones, Jazz Standards, Bluegrass, Folk and many more. We also offer Solo Classical Guitar performances. And hundreds and hundreds of other gigs before this… thank you to everyone we’ve met along this journey. Join our mailing list and we’ll notify you of upcoming performance dates. Send your email address and name to: jewettbass@gmail.com The Jewett Brothers Band is Mark Jewett, Steve Jewett, and Tom Jewett. Facebook. 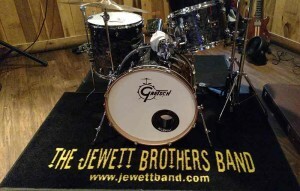 All content including images, website http://www.jewettband.com, email: jewettbass@gmail.com, are Copyright 2019, property of The Jewett Brothers Band, all rights reserved. These guys are great! I go to a lot of their gigs and they’ve all got such positive energies! They’re professional but fun and laid back! A great band for any occasion!